Imagine living somewhere else. What if your nearest source of clean water was hours away; healthcare for a preventable sickness was unaffordable; the community you lived in was unsafe for children; education and skills training was only for the rich? This is the reality for million of people in India, Nepal and Bangladesh. Help fill the pressing needs of people who worry daily about their children’s survival, health, safety and education by giving to one of our projects today. Children and youth can break out of poverty and become change agents in their communities. You can improve children’s lives even if you cannot sponsor a child by supporting this Fund. Disadvantaged children, families and communities in Asia have many pressing needs. Your support enables us to respond quickly to urgent and new needs as they arise. 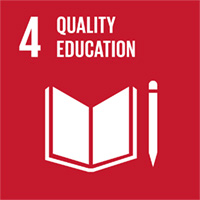 All children and youth – regardless of age, gender, ethnicity or religion – have a right to education. We believe education allows children to reach their potential and develop life skills. Advocating against deeply engrained societal errors, such as human trafficking, helps protect the rights of women, girls and vulnerable communities. We oppose human trafficking and work to prevent it. Children and youth are amongst some of the most vulnerable groups of people. We believe that empowered communities can help build vibrant, peaceful and productive societies. The lack of access to quality health care is a pressing issue in Asia. We believe that people become positive contributors to society when barriers to improved health are removed. The Global Goals, an initiative of the UN that has set a series of ambitious targets to end extreme poverty and tackle climate change for everyone by 2030, are something that Asian Aid is focused on. There are 17 in total and through your support, our work is bringing 6 of these goals into submission. Read more about them below. Asian Aid’s programs in several Southern Asian countries seek to help end poverty. We offer educational opportunities to children to prepare them for a brighter future where they can realise their potential. Skills-based training programs, advocacy initiatives and confidence-building activities help build resilience in vulnerable communities. We also provide individuals with health and hygiene education and services that increase their ability to better contribute to their families, communities and society. Asian Aid’s Health Program seeks to ensure healthy lives and to promote wellbeing. 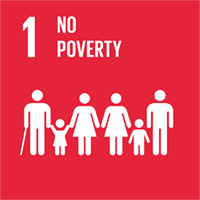 We achieve this by providing access to quality and free health care and education to marginalised, disadvantaged and/or rural people groups in India, Indonesia, Nepal and Thailand. 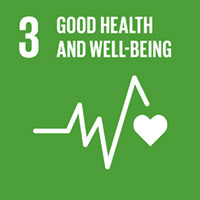 Improved access to health services, treatment and training have led to improved wellbeing, maternal health, reproductive health and basic hygiene amongst the people in these communities. Asian Aid’s Education Program seeks to ensure that inclusive and quality education is available for all children – regardless of age, gender, ethnicity, disability or religion. Asian Aid also believes in creating lifelong learning opportunities for all, and does this through programs that develop holistic life skills that influence the decisions that affect the lives of young people. Helping build resilient communities that value and support children and their education is integral to our work. Asian Aid believes that men and women, boys and girls have equal value. Because of this, Asian Aid seeks to address the crosscutting issue of gender inequality in culturally sensitive ways, by providing inclusive programs that benefit both males and females in a non-discriminatory way. 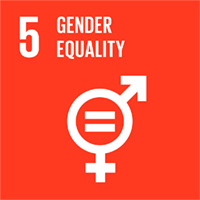 Consideration of gender inequality issues is seen in programs that address limited access to reproductive health and rights, tackle the exploitation of women and girls and provide opportunities for women to effectively participate in leadership and decision-making opportunities. 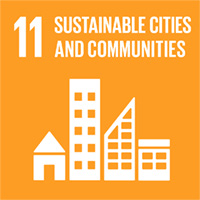 Asian Aid believes that when cities and human settlements are inclusive, safe, resilient and sustainable, community members are better positioned to address their own barriers to development. In Bangladesh, Asian Aid supports an urban school development project in Dhaka that will provide sustainable facilities that are built utilising local materials, and will provide quality education. In India, Asian Aid works helps build the resilience of community members in urban slums so they are better equipped to address issues affecting health, sanitation and livelihoods. 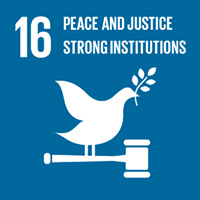 Asian Aid seeks to promote peaceful and inclusive societies for sustainable development, and believes that everyone should have fair access to justice. Asian Aid’s Advocacy Program in India and Nepal seeks to promote peace and justice for effective, stronger and more accountable institutions. Through Asian Aid’s Hope in Communities Program, active children’s clubs have been established to encourage enhanced participation so that children’s voices are heard and represented in the design and implementation of programs that affect them.